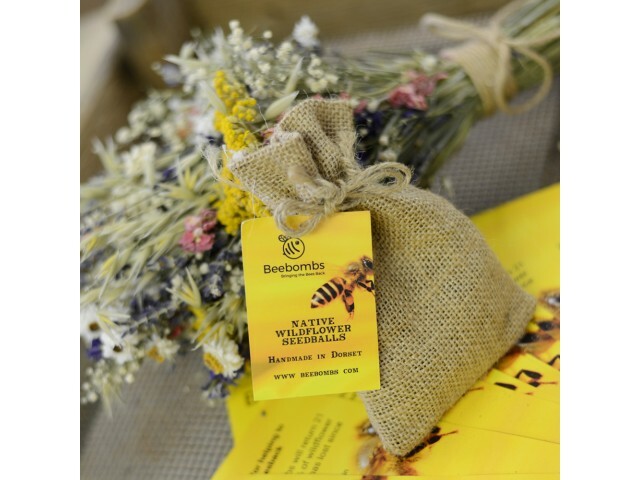 Beebombs - 1000s of seeds from 18 native wildflower species, mixed with local, protective clay and sifted, nurturing top soil. 1 pack provides coverage for roughly 21 sq ft / 2m². 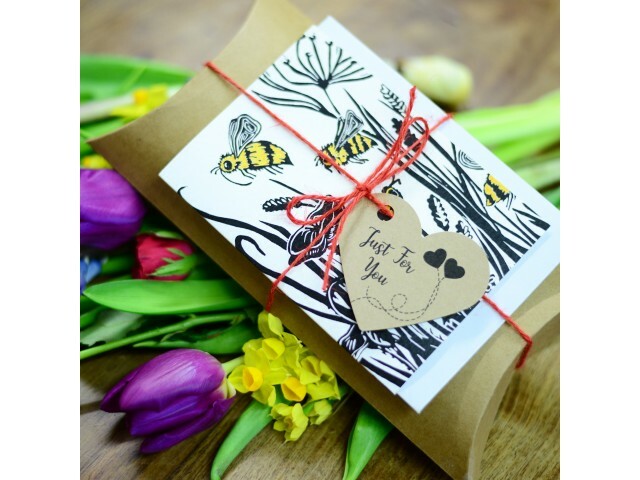 • 1 pack of native wildflower seedballs, handmade in Dorset and all designed to #bringthebeesback. 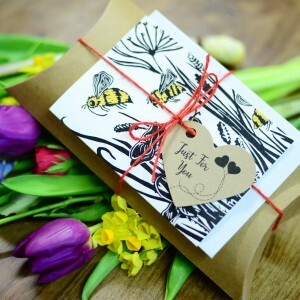 • A beautifully designed bee card and 2 handmade beeswax candles from Filberts of Dorset. 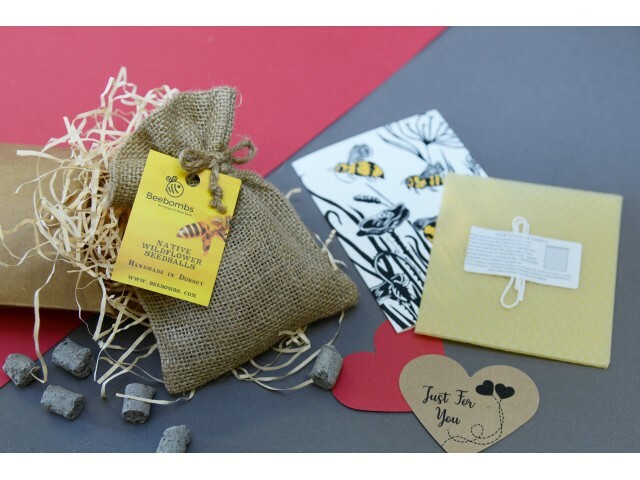 Supplied in sheet form with wick ready for you to hand roll.